An investigation has been launched after an as yet unidentified body was discovered in a suitcase in a West London canal. Police officers were called to the Grand Union Canal near Delamere Terrance in West London at 2.30 p.m. Sunday. The unidentified body was fished out of the canal by the Metropolitan Police Marine Policing Unit and London Fire Brigade. An investigation has been launched concerning the “suspicious” case. Police say they are unaware of how or when they body ended up in the canal. Officers are currently unable to identify the gender of the body. Major Crime Command and Scotland Yard Homicide are leading the probe. “Detectives from homicide and major crime command are investigating and police are working to discover the identity of the deceased,” the spokesman said. The Grand Union canal runs from London to Birmingham. 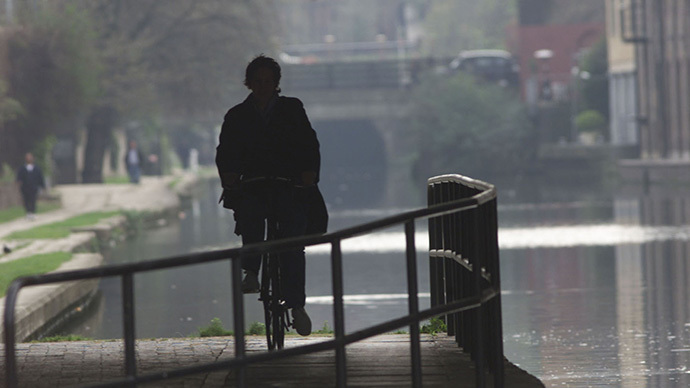 The West London part of the canal is not far from where the murdered teenager Alice Gross went missing. Nobody has been arrested in connection with the case. A post mortem is expected to be held.